The Louise Elizabeth Butler Walker Memorial Diversity Fund was established by friends of the Information School in 2016 to attract a diverse workforce into the library profession in honor of Louise Elizabeth Butler Walker. Butler Walker was the first African American graduate of the Information School (class of 1935). 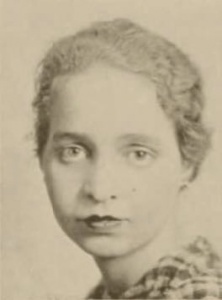 Butler Walker attended the University of Wisconsin from 1931 – 1935 and obtained her BA and a library diploma through the joint course program. She was a member of Phi Beta Kappa and the Sigma Epsilon Sigma freshman honorary sorority. She worked as a young adult/children’s librarian in a public library in Wisconsin from 1954-1969 and she passed away in 2000. To help support a diverse library workforce, you can contribute any amount to the Butler-Walker Memorial Diversity Fund as iSchool fund 132540026 via this web link. The following friends of the Information School have pledged $5,000 or more to the Butler Walker Diversity Fund endowment. Please contact iSchool Director Kristin Eschenfelder if you would like to support the Butler-Walker Diversity fund at the Founder level.